This is one fascinating word, right? In fact, this is one of those words which has an extremely interesting word origin as well. The term brainwashing came into use in 1950s, through the Korean War. This was a method used by the Chinese communists to induce permanent behavioral changes in foreign prisoners, and to prevent United Nations troops from functioning effectively. The Chinese term for such an action was xǐnăo, 洗脑, the term which is translated as “to wash the brain”. The Chinese used these methods to clear out the so called feudal thought patterns of its citizens that were raised during the pre-revolutionary regimes. These techniques were formalized during the early years of formation of the People’s Republic of China. 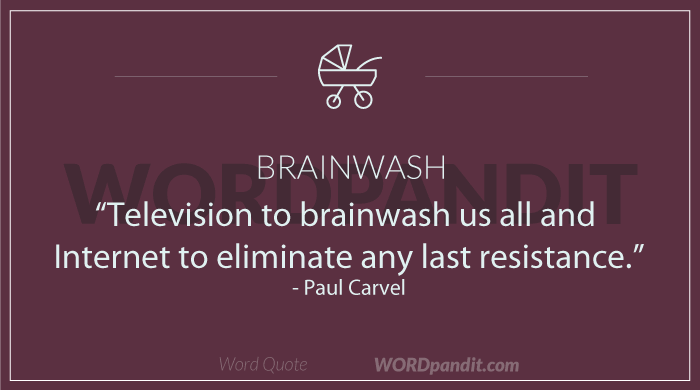 Over a period of time, the term “brainwashing” came to be applied to any method of indoctrination and propaganda that was used to alter the thought process of the masses. 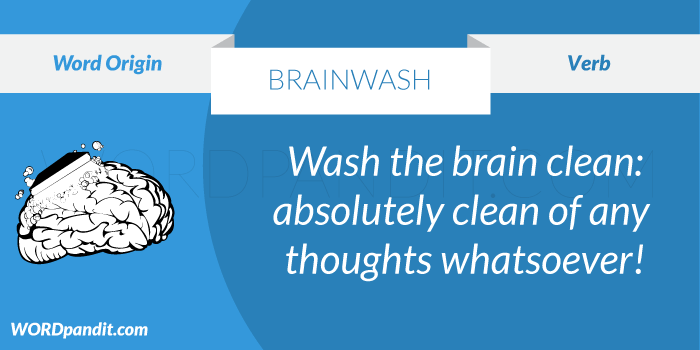 BRAINWASH = Washing the brain (of all its ideas and thoughts). 1. Have you ever wondered if it was possible to brainwash yourself to becoming successful? 2. To have the power to brainwash someone is something that people desire. 3. Brainwashing is something undertaken by terrorist organisations to make sure their recruits follow them blindly. Thanks for sharing the info about the brain wash word.